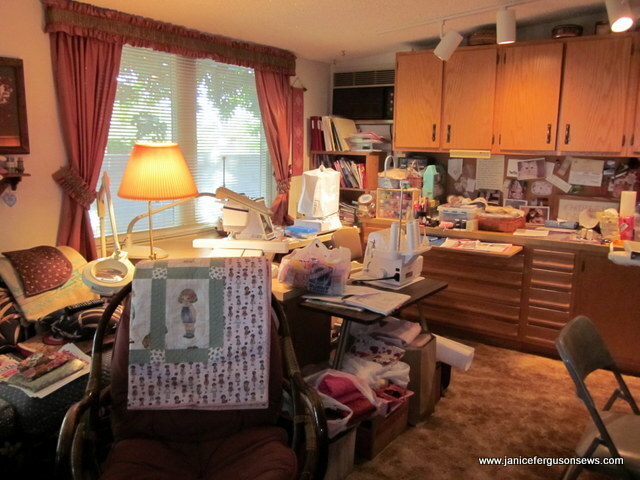 Heidi’s sewing room is neat, orderly and clearly the sewing space of a serious stitcher. There are so many interesting and useful things to see here. Thanks, Heidi, for sharing–and welcome back to the smocking and sewing sisterhood! So this is where Heidi sews. It looks like a serger sits on that gorgeous antique Singer cabinet. I find that I simply couldn’t do without the use of the sofa with the magnifying lamp in that room. Also a lot of times Duane comes in there to chat and his spot is the single chair in the picture. I love seeing other sewing rooms. 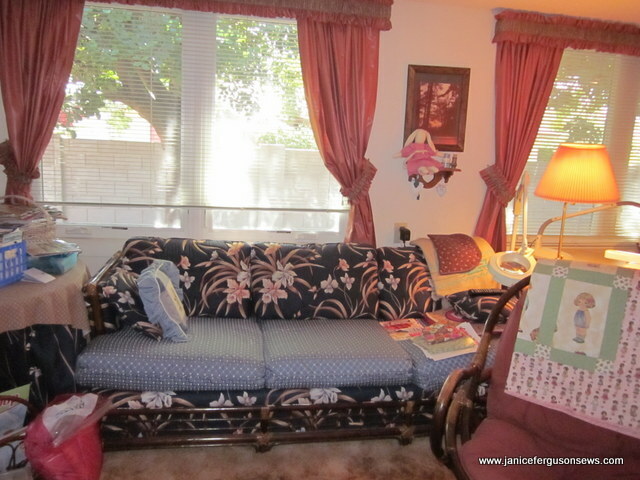 So I really appreciate Shirley sending these photos of her needlework space. An avid and accomplished sewist who spends her winters in Arizona and the summers on the lake in Minnesota. Shirley lives a great life! Her AZ sewing room is shown here. Seeing these pictures makes me wish I could see the one in Minnesota. 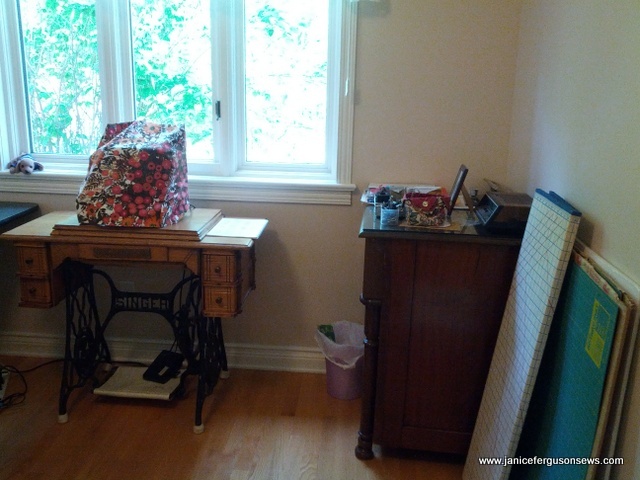 Heidi has also sent photos of her sewing space. They will be featured in a later post. 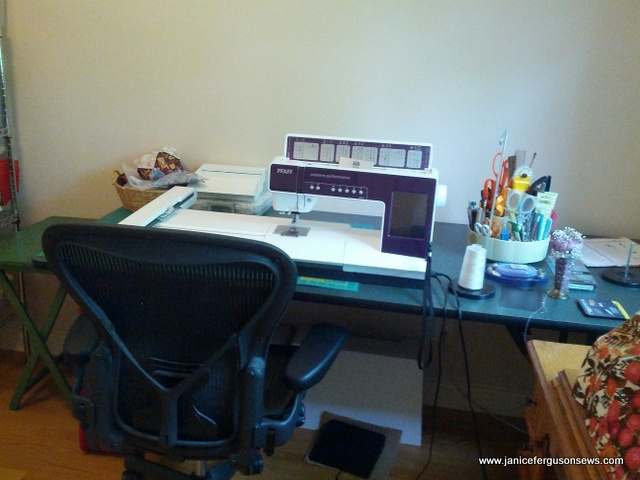 I would love to see more reader sewing rooms. Just send pictures to me at NCcabin@aol.com. NOTE: For reasons I cannot fathom, Shirley’s text has made it impossible for me to format as I like, with room between the pictures and the text. Something about copying and pasting her info has given this whole post in a very bad attitude. Too much time has been spent trying to fix it so I give up. I hope you can deal with it.